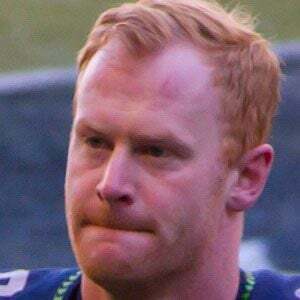 Former punter in the Canadian Football League who played two seasons with the NFL's Green Bay Packers before signing with the Seattle Seahawks in 2008. He played punter and wide receiver for the University of Regina, in addition to also running track for the school. His impressive season as the CFL's top punter with Winnipeg Blue Bombers' in 2005 led to his entrance into the NFL with the Packers in 2006. His mother's name is Barbara and his father's name is Bob. In July of 2016, he married comedienne Sarah Colonna. He had a punt returned for a touchdown by Devin Hester on October 17, 2010.